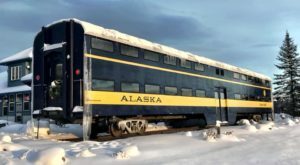 Love Alaska? Get more stories delivered right to your email. 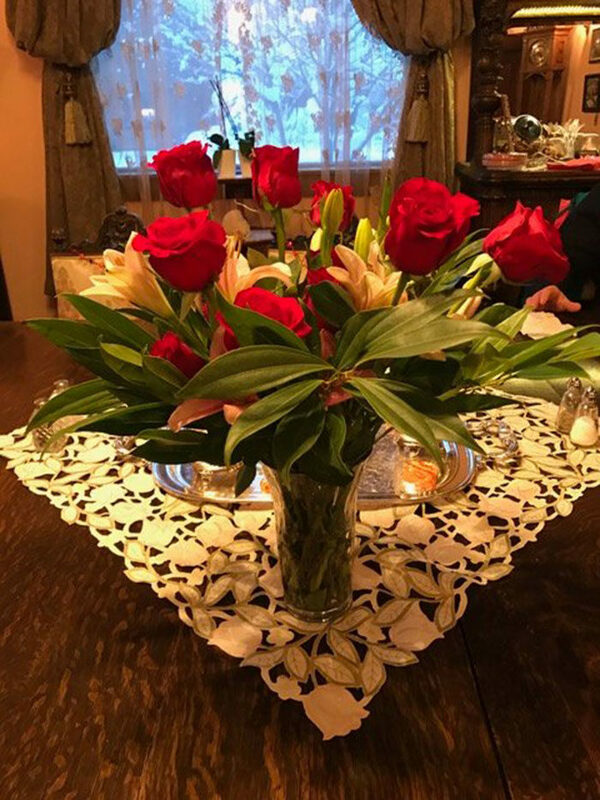 There’s always a reason to celebrate love, no matter the season. The Alaska Heritage House gives you an excellent excuse to sweep your honey off their feet, and pamper them for your next romantic getaway! This gorgeous inn is filled with romantic touches to transport you to a magical weekend away. Thinking about spoiling a loved one? 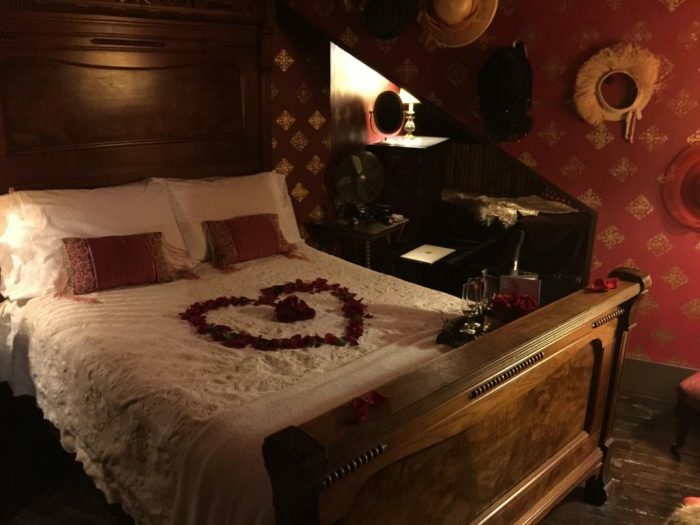 We have the perfect place for you to plan a romantic weekend out! 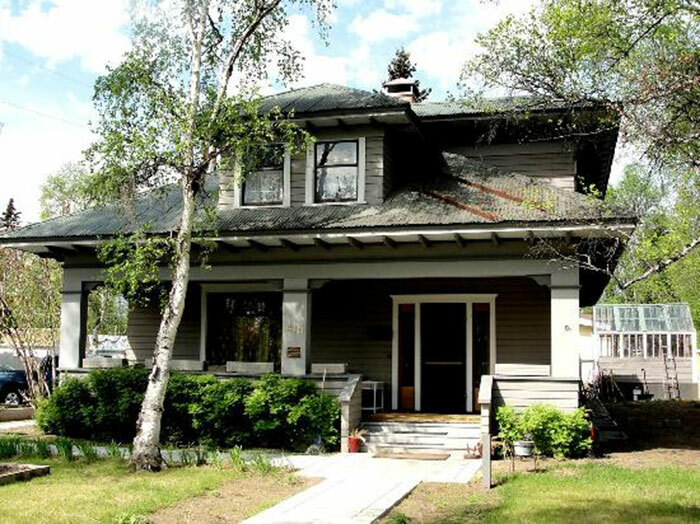 The Alaska Heritage House is a gorgeous inn and bed and breakfast located in Fairbanks, Alaska. The inn has been officially registered as a National Historic Register Home! 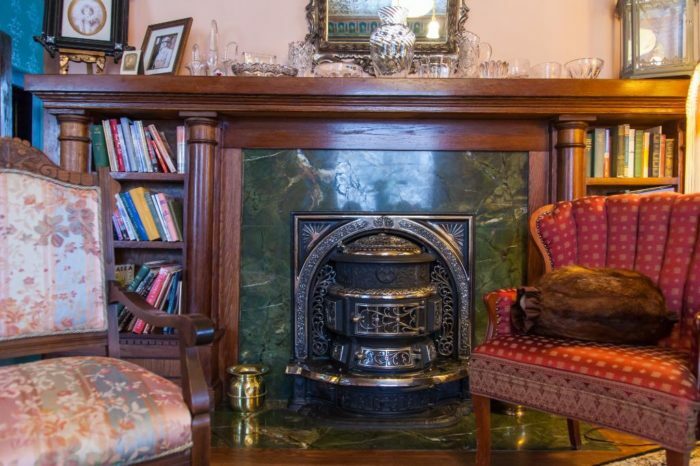 The large home has been tastefully appointed with many period pieces. It offers eight incredible bedrooms for guests to enjoy. 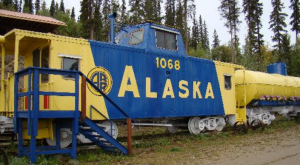 It's also perfectly located within Fairbanks! 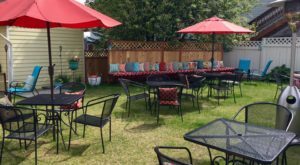 Only a mere three blocks from downtown Fairbanks, you can easily get to your favorite restaurants and museums nearby! It's easy to picture yourself relaxing and snuggling next to the fireplace, in one of these gorgeous chairs! 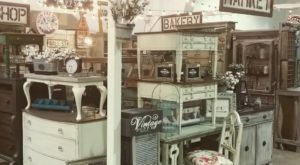 The furniture is all beautiful classic pieces that accentuate the romantic feeling of the house. A lot of care and attention has been made to maintain a consistent feeling as you move through the inn. 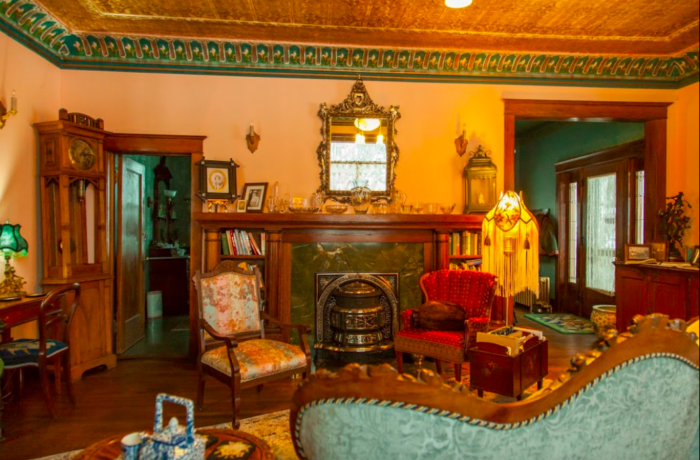 The entire home has a romantic past, to help set you in the mood for your weekend. The house was initially built as testament of love between a husband and a wife. Arthur Williams, a prosperous and successful Fairbanks businessman, built this luxury home as a token of love for his wife, Lucille. They were madly in love and had this house built over two years for her. The house featured unparalleled luxuries of the time: a greenhouse, tongue and groove flooring, and an indoor bathroom with running hot and cold water! The rooms throughout the house still hold that luxurious feeling. 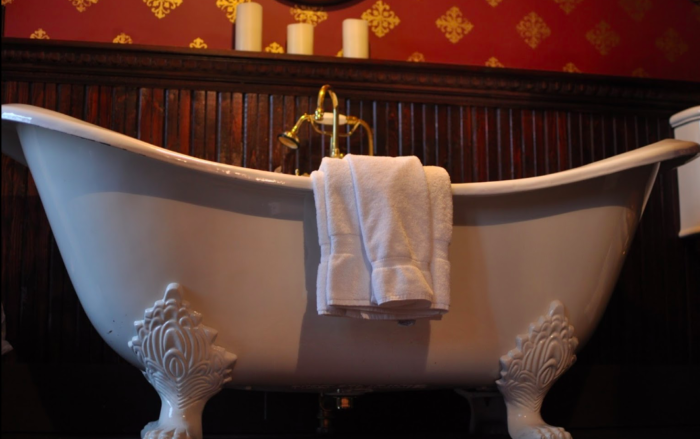 Many of the rooms boast clawfoot tubs reminiscent of the period the home was built in. Some even have a slipper tub, "built for two!" Each of the bedrooms has a definite theme, and are named after famous people or areas around Fairbanks. All of them evoke the romance and history of an earlier Alaska time. 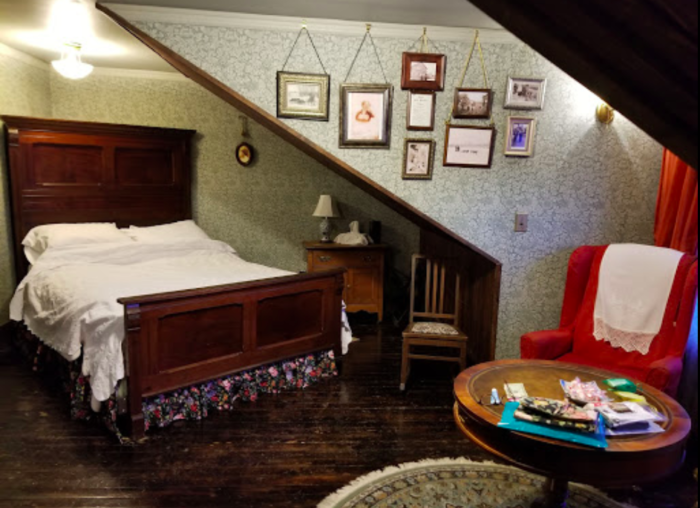 From a full service suite with kitchen and dining area, to rooms decorated with period typewriters, you will be sure to find something you'll love! The owners will frequently go out of their way to make sure your stay is special! By giving them advance notice, they'll happily set up romantic gestures for you. It would be nice to have them arrange a bottle of champagne waiting, as well! Luxurious breakfasts are served in the morning for guests! 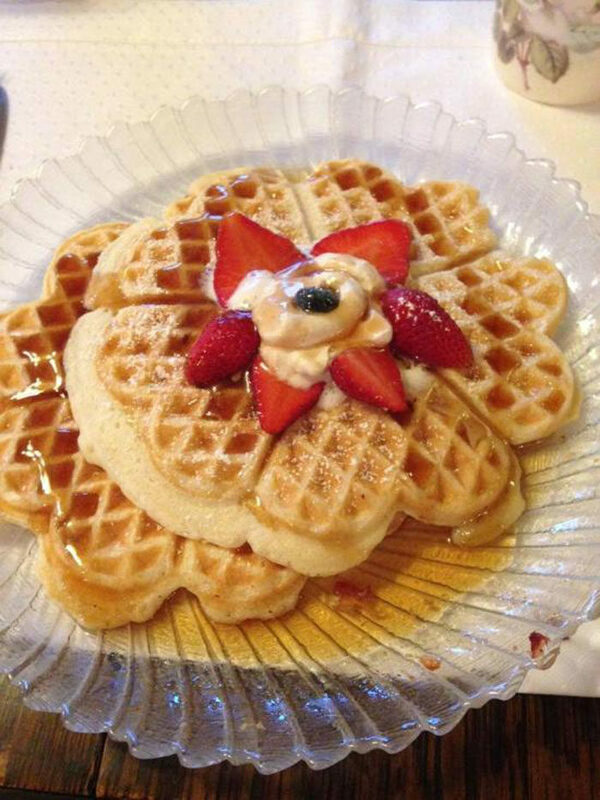 You can find yourself eagerly anticipating fresh made waffles or pancakes, fruit compote, bacon, and delicious maple syrup! Guests can't stop raving about how decadent the food is! 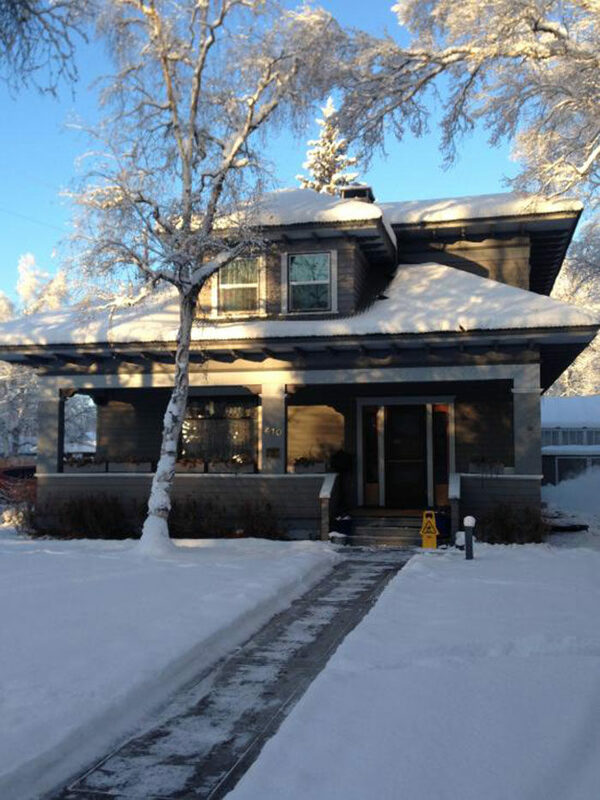 The Alaska Heritage House offers a romantic getaway, no matter the season! 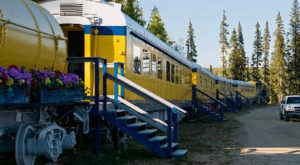 You can plan your next romantic weekend by visiting them at 410 Cowels Street., Fairbanks, AK 99701. Or if you have any questions, feel free to call them at 1-(907)-388-9595. 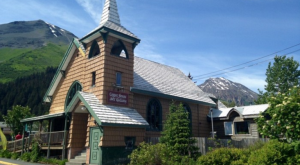 Want more information about visiting Alaska Heritage House? Check out their website here! 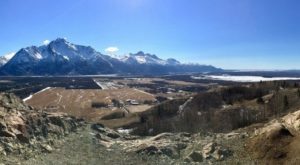 Have you ever visited the Alaska Heritage House? What did you think? Did you bring your significant other and spoil them rotten? Let us know in the comments below! 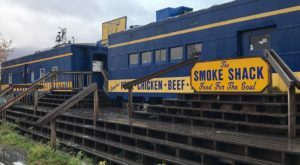 While in Fairbanks, make sure to try out The Most Delicious All You Can Eat Dining Experience In Alaska That You’ll Absolutely Love!